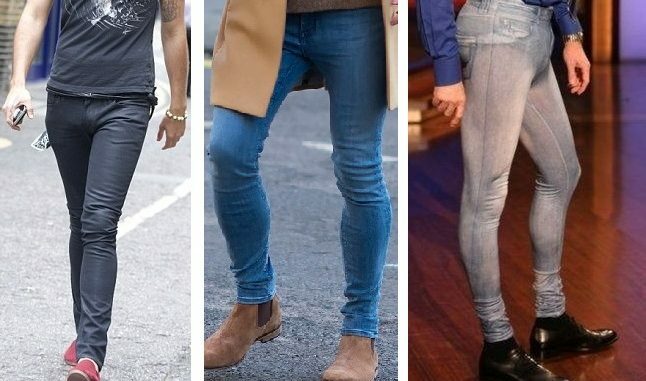 Leading Irish Doctor Warns Men "Skinny Jeans Are Crushing Your Nuts!" A leading Irish doctor has warned men who regularly wear jeans labelled ‘Skinny Fit’ that they are causing permanent damage to their nutsacks. Doctor John McIntyre of Dublin’s Mater Hospital was speaking at the annual conference of the National Association of Medical Consultants and said the health risks posed by wearing such restrictive clothing are significant. It’s unlikely that young men will be persuaded to stop wearing skinny jeans as long as they’re in fashion and as long as celebrities continue to be photographed wearing them. So what advice would Dr. McIntyre have for the health conscious young man when out shopping for new jeans and how tight is too tight? Surprisingly, one leading jeans manufacturer has already taken Dr. McIntyre’s concerns on board. Levi’s Ireland say they intend to add a new size to their collection and soon men will be able to choose between Boot Cut, Regular Fit, Skinny Fit and Scratch & Fiddle.